Get energized. Be extraordinary. Find bliss. 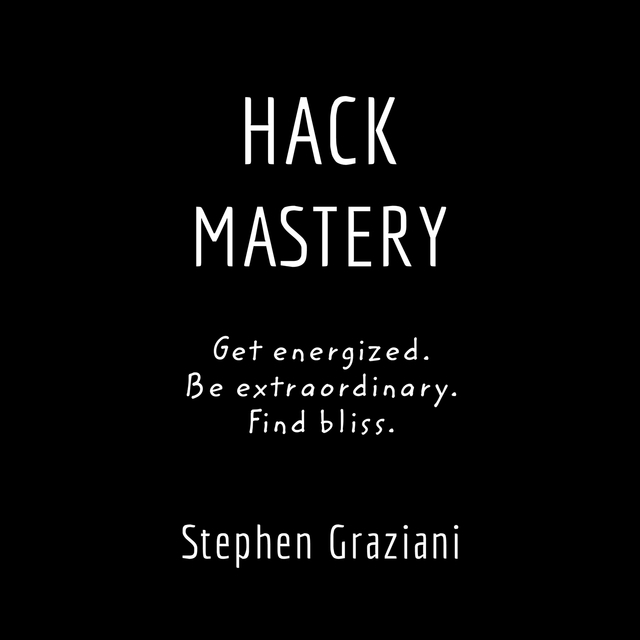 Workforce expert Stephen Graziani’s book, Hack Mastery, provides clear guidance on how you can have just such a life! An expert in human capital management, Steve has managed recruiting and sales teams that filled more than ten thousand jobs over 20 years. After overseeing the interviews of more than 100,000 candidates, he recognized a pattern—all those people experiencing career fulfillment and success had incorporated the same Seven Elements into their lives—as a result, they loved their jobs and they loved their lives! Hack Mastery outlines the details of Steve’s breakthrough and clarifies what his discovery means to you. In today’s hyper-connected, technology-driven environment, how can you achieve Mastery in your profession or any area of your life? In Hack Mastery, Steve shows you how to weave the “Seven Elements” into your own life. Once you see the world through the eyes of a Master, everything changes. You cultivate your interests, invest in yourself purposefully, and connect with people in new and significant ways. You tap into a powerful source of energy. Mastery feeds a virtuous cycle of learning and doing; it empowers you to produce extraordinary outcomes; meaning and fulfillment enrich your life. On the road of Mastery, time doesn’t fly. Time stands still! Stephen Graziani is the founder of Mastery Studio / Workforce Matrix, a business strategy, executive coaching, and consulting firm. He has given dozens of workshops on Mastery to people from all walks of life including artists, architects, sales executives, healthcare professionals, writers, filmmakers, students, and business owners. As a veteran in the technology services industry, Steve managed organizations with more than 1,500 technology consultants and $200 million in billings annually. He is a Certified Executive Coach through Columbia University and a Certifed Purpose Coach though Imperative. He has an MBA and Bachelor of Science, Business. In 2018, he became a Certified Yoga Teacher (RYT-200)...just because. He resides in San Francisco with his wife and muse, Tina, a former restaurateur and now health coach. When he has nothing else to do, Steve works on mastering his life’s passion - jazz piano.